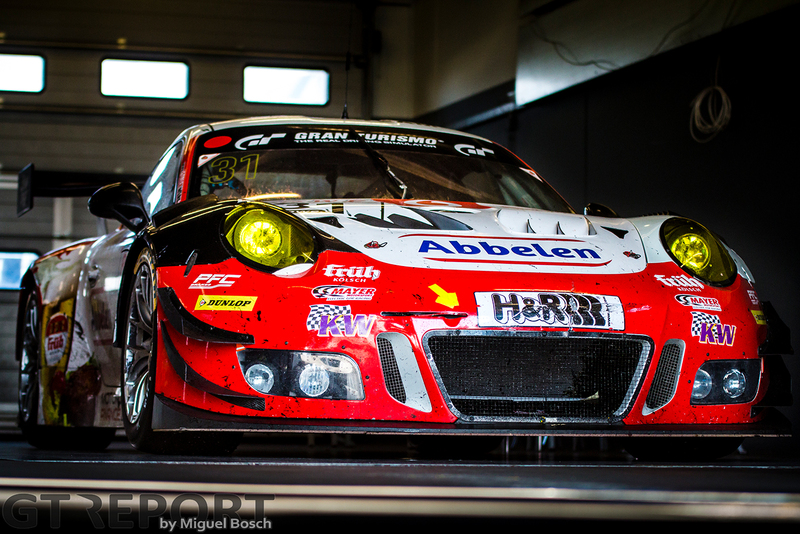 In Manthey Racing’s absence, Frikadelli Racing is carrying on the torch for Porsche at the Nürburgring. 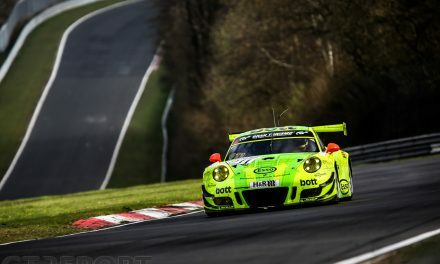 The Porsche 991 GT3R team took the win in the third VLN race of the season—a victory that seemed far away for drivers Lance David Arnold and Felipe Fernández Laser after an accident in the morning qualification session left the car stranded on the far side of the Nordschleife. 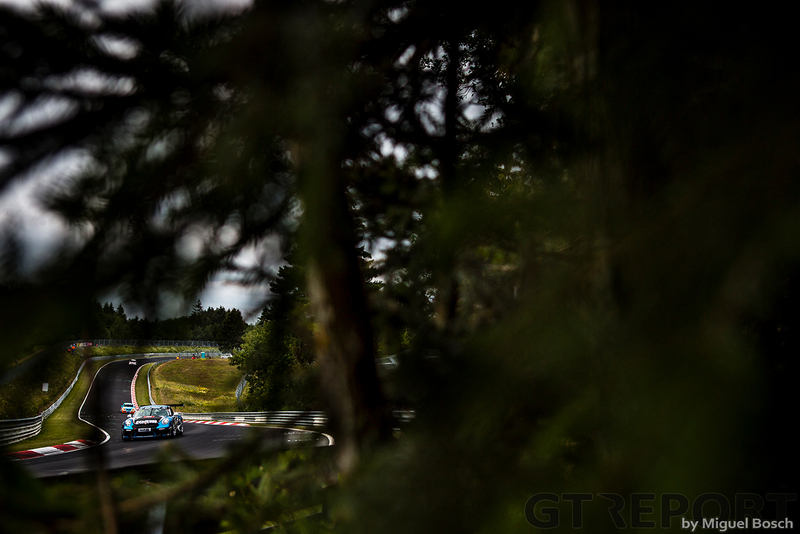 It’s been six weeks since the teams last gathered at the Nürburgring. 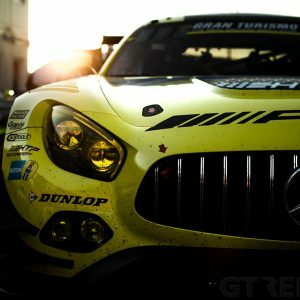 With the ‘24 Hours’ over, only the usual suspects show up for VLN3. 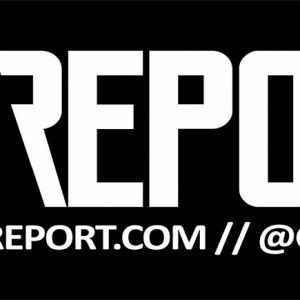 There are no works teams and there are no surprises. 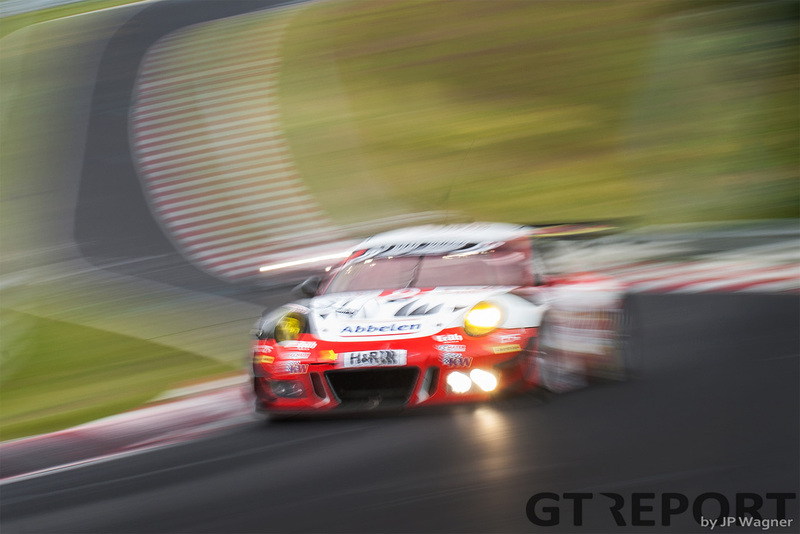 Just 13 GT3s are entered for this weekend’s 60. ADAC ACAS H&R-Cup, but the competition is strong: Falken Motorsports brings both the Porsche 991 GT3R and the BMW M6 GT3 driven by two pro drivers on each of the cars, as well as full-pro cars by Frikadelli Racing and Walkenhorst Motorsport, while Phoenix Racing, Konrad Motorsport and Wochenspiegel Team Monschau bring strong entries with a mix of talent and experience with them as well. 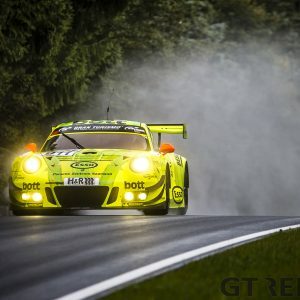 When the Eifel awakens on Saturday morning for the qualification session, Felipe Fernández Laser is one of the first to go out on a hot lap, putting the Frikadelli Porsche on top of the charts for the time being. He won’t be around on track for much longer, however, when at Adenauer Forst the German hits another car and has to park the Porsche at Breidscheid. Watching as he drops down the order to eleventh place, Laser waits for the team to drive him back to the pits. As Laser sits in his car waiting, the Rinaldi Racing-run Wochenspigel Team Monschau Ferrari 488 GT3s are flying. Both Christian Menzel and Jochen Krumbach break through the 8-minute barrier, earning the sleek Italian machines their place on the front row of the grid side by side and raising hope for a repeat of 2017 when Krumbach, Oliver Kainz and Georg Weiss took the win in the ADAC ACAS H&R-Cup. The grid is nearly formed and ready to take off on the formation lap for the 4-hour race. But Lance David Arnold in the Frikadelli Porsche is still missing. As time is running out, the team is frantically repairing the Porsche’s right-front corner from the damage sustained a couple of hours ago. Seconds before the light at the end of pitlane turns red, Arnold leaves the pits to find his place on the grid. 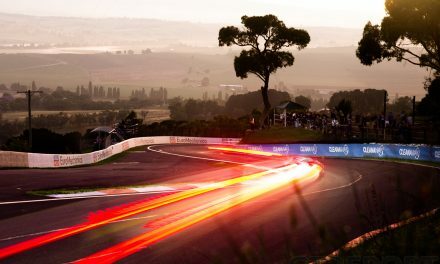 While the two Ferraris continue at the front of the field when the lights go green—pole-sitter Menzel switching places with team-mate Krumbach at the end of the first lap on Döttinger Höhe—a trio of cars advances to the front in the opening hour. Arnold is joined by team-mate Alexander Müller in the sister Frikadelli Porsche and Audi ace Frank Stippler in the number 5 Phoenix Racing Audi R8 LMS GT3 as they pick off car after car. The Frikadelli-Phoenix march is stopped when they reach Menzel, who is slowly losing wingman Krumbach out of sight but able to defend his position. Menzel and co-pilot Leonard Weiss remain in contention until a hydraulics failure in het power steering forces a long pitstop for repairs at the end of their second stint. The sister Ferrari, with Oliver Kainz in the car for the second stint, fares better. Both Kainz and Krumbach—back in for the third stint—set quick lap times to try and give their gentleman co-driver Georg Weiss enough breathing space in the final stint needed for an attempt at victory. Like the WTM Ferrari of Menzel and the young Leonard Weiss, Frikadelli Racing’s Pro car isn’t without its own problems. When Laser takes the wheel of the red and white machine in the second hour, he notices a slight rub of one of the wheel arches on the tyre. Unwilling to risk a puncture, the team decides to bring the car in earlier for its penultimate pitstop. 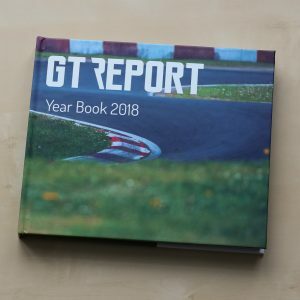 This moves the Porsche’s final pitstop forward and with the regulations gradually reducing minimum pitstop times as the end draws near, their last pitstop will be longer than the Ferrari’s as the WTM squad can make their stop closer to the finish. 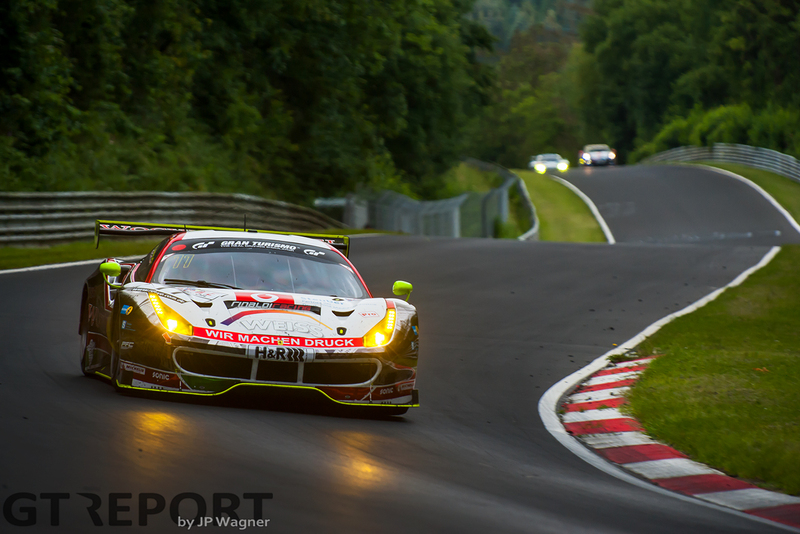 Combined with Kainz and Krumbach’s blistering lap times, a repeat win for Ferrari looks in the making. Arnold and Laser, however, have other plans. 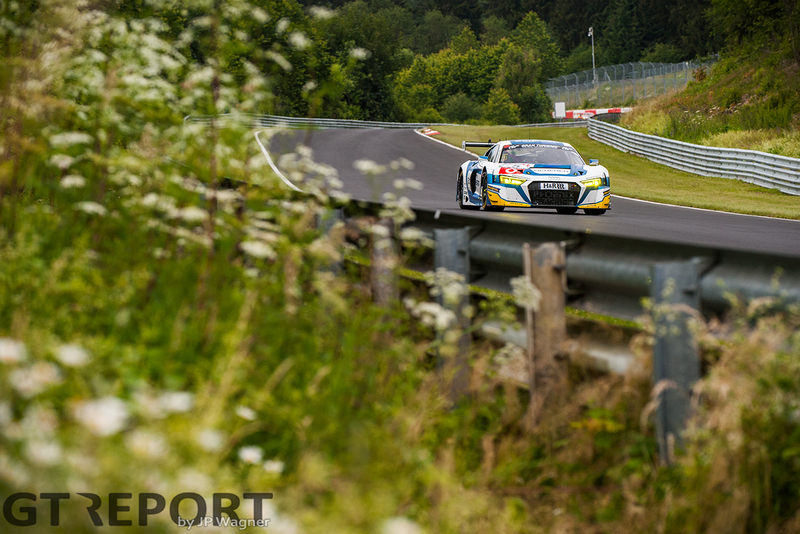 They are well-aware of their deficit and do what they need to do: match Krumbach’s high pace. When Weiss brings the Ferrari back into the race with 40 minutes left on the clock, the gap to the Porsche is just 20 seconds—not enough for Weiss to hold the line until the finish. Laser knows that catching Weiss is only a matter of time—and Weiss knows better than to put up a fight against the Porsche test driver. With 23 minutes remaining, Weiss lets the Porsche through into the lead and sets his mind on securing a podium finish. Still carrying the scars of its morning scrimmage, the Frikadelli Porsche crosses the finish line in victory. It’s Frikadelli Racing’s first win in three years, and the first for the made-for-war Frikadelli Racing Pro car, entered by team-owner Klaus Abbelen to attack in the era of factory-dominated racing. Stippler and Vincent Kolb join the Frikadelli racers on the podium. In the closing laps, Stippler sneaks by Weiss to bring Phoenix Racing the silver. 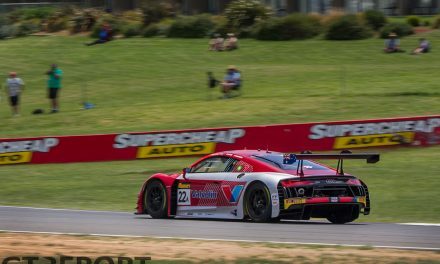 Although the Audi works driver accounted for the bulk of Phoenix’ race laps, team-mate Kolb’s performance is celebrated as well: with lap times in the lower 8-minutes, the Phoenix Racing youngster earned his trophy on his GT3 debut. 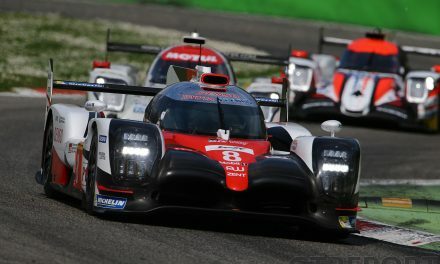 Long-time race leaders Wochenspiegel Team Monschau settle for third place, leaving the Michele Rinaldi-led crew with a trophy to remember a hard-fought race.